MURRAY HILL, N.J., Sept. 14, 2018 /PRNewswire/ — Anchoring its north east gateway city strategy, Goodman Group has closed on two strategic sites in East Rutherford and Teterboro in Northern New Jersey. Goodman is also opening an office in the Meadowlands to support its growth in this area. Goodman will continue to target land developments, value-add and stabilized opportunities in the Northern New Jersey, Central Pennsylvania and Lehigh Valley industrial markets. This complements Goodman’s existing portfolio which has focussed on the key logistics and industrial markets of Inland Empire and Greater Los Angeles in southern California. 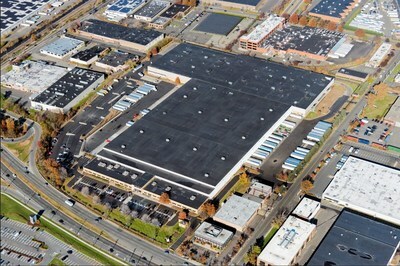 Goodman’s latest purchase is a 100,031 square feet facility located in Bergen County within close proximity to New York City and multiple international airports. Now available for lease, Goodman Industrial Center Murray Hill, provides convenient access to Interstate 80, Brooklyn-Queens Expressway 278, the New Jersey Turnpike and Phillipsburg-Newark Expressway 78. An open house event is being held from 8am-11am Tuesday, September 18th at 433 Murray Hill, New Jersey for prospective customers.